While the best place to typically buy one of Amazon's incredibly affordable and reasonably powerful Fire tablets from is naturally the e-commerce giant's own platform, other reputable retailers also sell these bad boys at impressively low prices. Occasionally, Best Buy can even undercut the actual manufacturers of the Android-based slates, offering certain variants at irresistible discounts. 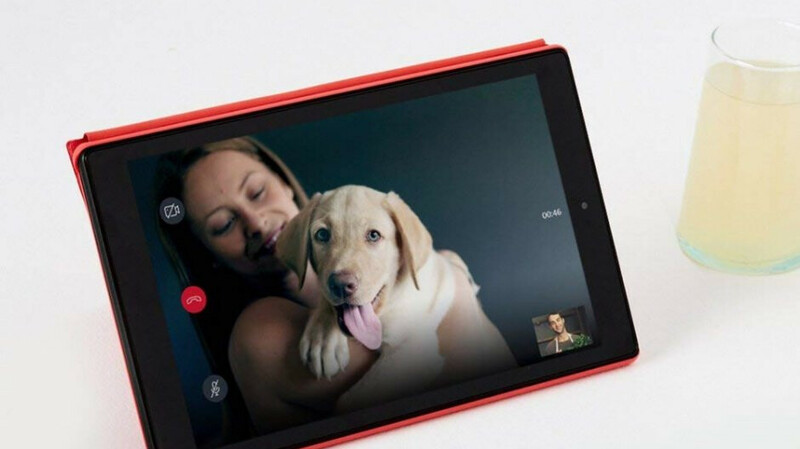 The Amazon Fire HD 10, for instance, is available today (and today only) at Best Buy at a starting price of $99.99, down from $149.99, in black, marine blue, or punch red color options with 32 gigs of internal storage space on deck. The same $50 reduction applies to the 64GB configuration in the same snazzy trio of paint jobs, with each digital hoarding-friendly unit currently setting you back $139.99 instead of a $189.99 list price. We're obviously talking about "regular" variants of Amazon's 2017-released 10-incher here rather than the kid-friendly edition that the e-commerce giant itself is selling at $160 instead of a $200 list price at the time of this writing. The standard Fire HD 10 model, mind you, still costs $150 and up on Amazon right now, although we've naturally seen it discounted there multiple times over the past few months as well. But $99.99 is actually a match for the tablet's all-time low price, which hasn't been achieved on Amazon in quite some time. Keep in mind that you merely have 24 hours to pull the trigger at Best Buy, with the Fire HD 10 on sale today boasting a battery life of up to 10 hours of mixed use between charges, a sharp 10.1-inch screen with 1920 x 1200 pixel resolution, microSD storage expansion, quad-core processing power, and hands-free Alexa capabilities as key selling points.